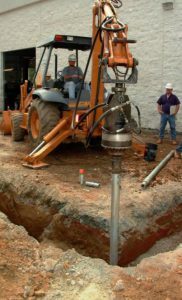 If you have a settling or sinking foundation, helical anchors could be your best option. These underpinning devices are screwed deep into the ground beneath the slab, until they reach load bearing soils. Next, the weight of the structure is transferred onto the anchors. Once this is done, the anchors can be used to lift the foundation to the proper level. 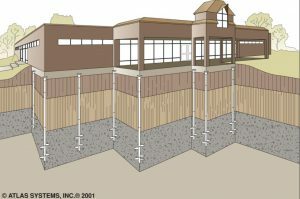 This helps return the foundation to the proper position, closing cracks that may have formed and stabilizing the foundation in the process. 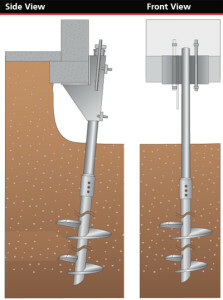 Atlas Piers is proud to offer our premiere helical anchor installation services throughout the U.S. Contact us today for more information regarding our commercial foundation repair solutions.